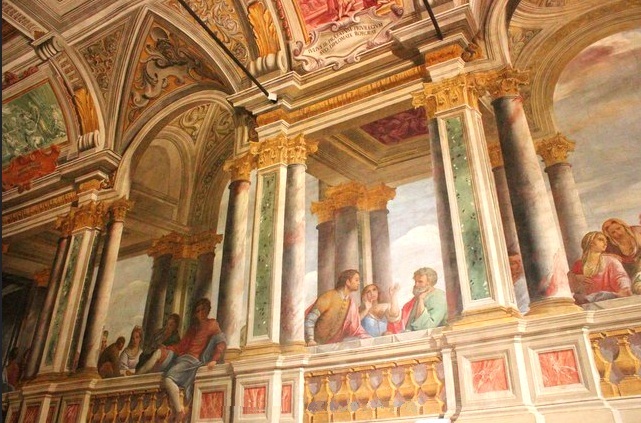 At the top of the Spanish Steps an unknown treasure is hidden in the Convent of Trinità dei Monti. and an immersive fresco will put you right in the middle of the banquet scene of "The Wedding at Cana". You walk along the shadowy corridor. A painted tree seems to extend its branches all over the wall; an old bearded man is engrossed in prayer. Yet it is but an illusion. 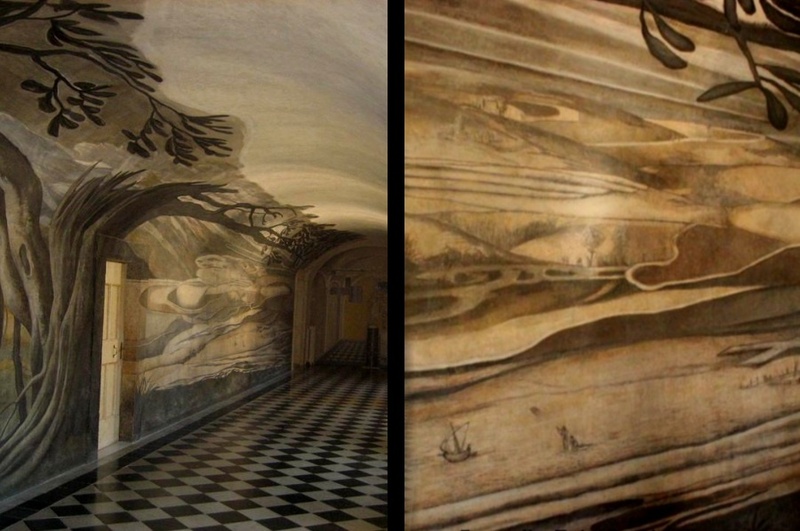 For when you proceed further by the fresco, the perspective changes altogether, and the folds of the old man's robe suddenly turn into what it appears to be a vast landscape, with small figures in it, and boats and tiny trees and villages. 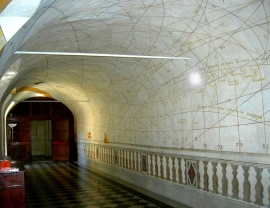 This is the magic of the anamorphic frescoes painted on the convent's arched ambulatories during the XVII century. 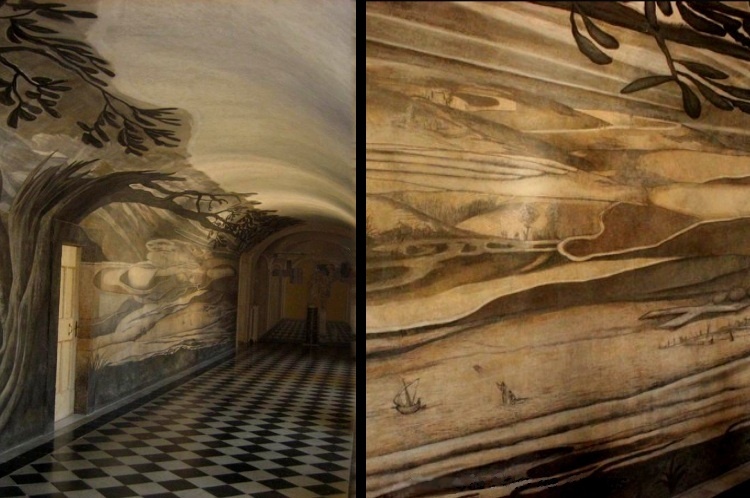 A miracle of optical science applied to painting: the drawing is so stretched that you see different visions from different sides: the mystical difference between the sight of God and that of men's. 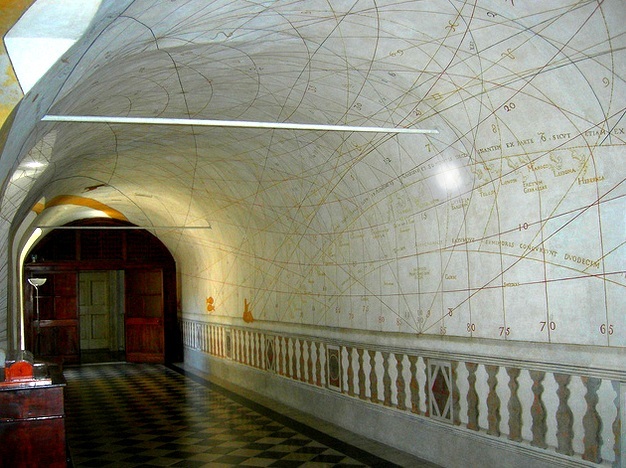 The same magic of the amazing sundial, whose lines cross themselves all around your eyes in an adjoining corridor, in a vertigo linking the Universe straight to that secluded place. 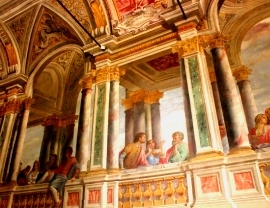 Don't miss the overwhelming "Wedding at Cana": a thoroughly-frescoed room where you step right in the middle of the whole scene. Illusion, again. 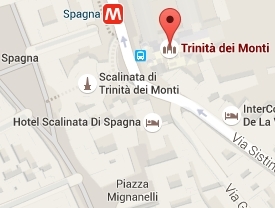 From hence I went ftreight on to the Minims of Trinita di Monte belonging to France and S. Francis of Paula's Order. 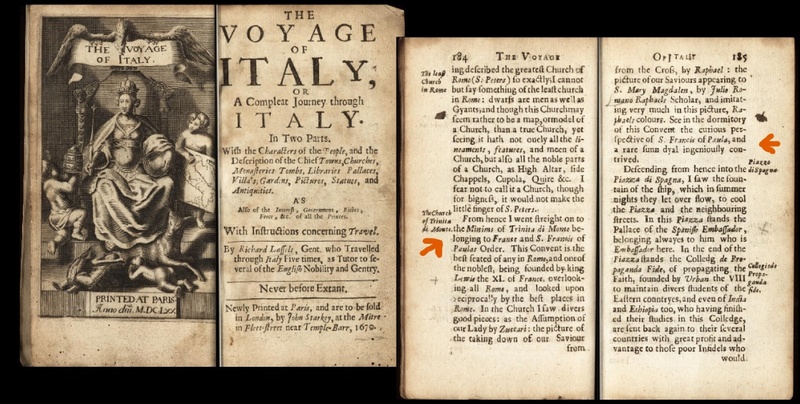 This Convent is the beft feated of any in Rome, and one of the nobleft, being founded by king Louis the XI of France, overlooking all Rome, and looked upon reciprocally by the beft places in Rome. [...] See in the dormitory of this Convent the curious perfpective of S. Francis of Paula, and a rare funn dyal ingenioufly contrived.